The Indonesian flag carrier, Garuda Indonesia Group, through its subsidiary, PT Citilink Indonesia, is establishing strategic cooperation with Sriwijaya Air and NAM Air by taking the operational management of the two flight operators. "The cooperation on operation aims to assist Sriwijaya Air Group in improving its operational and financial performances, including assisting Sriwijaya Air in fulfilling their commitments and obligations to some third parties, one of which is Garuda Indonesia Group," the President Director of PT Garuda Indonesia, Ari Askhara, said here on Wednesday. The document of cooperation was signed on Nov 9, 2018. Later on, the overall operation of Sriwijaya Group, including its financial aspect, will be under the management of the joint operation. Askhara added that Garuda Indonesia Group hoped this collaboration could have positive impacts on Citilink Indonesia. This cooperation is expected to expand market, network, capacity, and capabilities of Sriwijaya Air and NAM Air, and accelerate the completion of the obligations of Sriwijaya Group, especially to one of Garuda Indonesia`s subsidiaries. "This cooperation is a strategic step that directly supports the synergy of Garuda Indonesia Group and Sriwijaya Group in managing the air passenger market share of up to 51 percent," Askhara noted. He hoped that the cooperation, which will be managed by Citilink, can help the recovery of Sriwijaya Air Group amid the increasingly strong competition in the aviation industry. 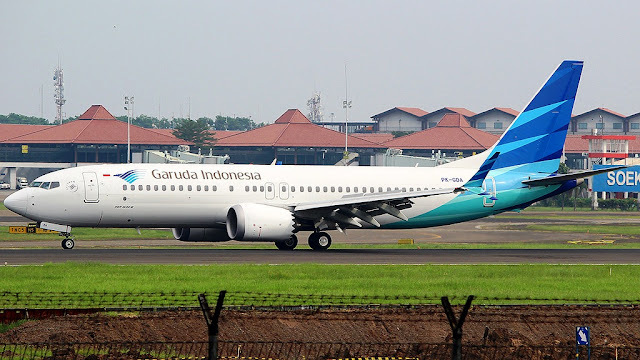 "We believe that Garuda Indonesia Group has excellent capability in managing airline business," PT Sriwijaya Air`s Managing Director, Chandra Lie, revealed.